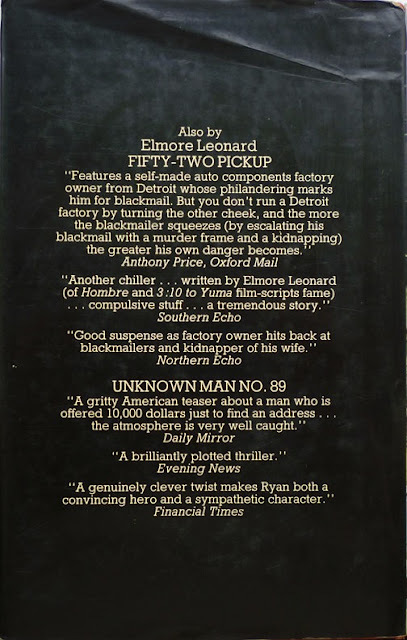 From 1974 to 1979, British publisher Secker & Warburg issued four Elmore Leonard novels in hardback in the UK: Fifty-Two Pickup (1974), Unknown Man No. 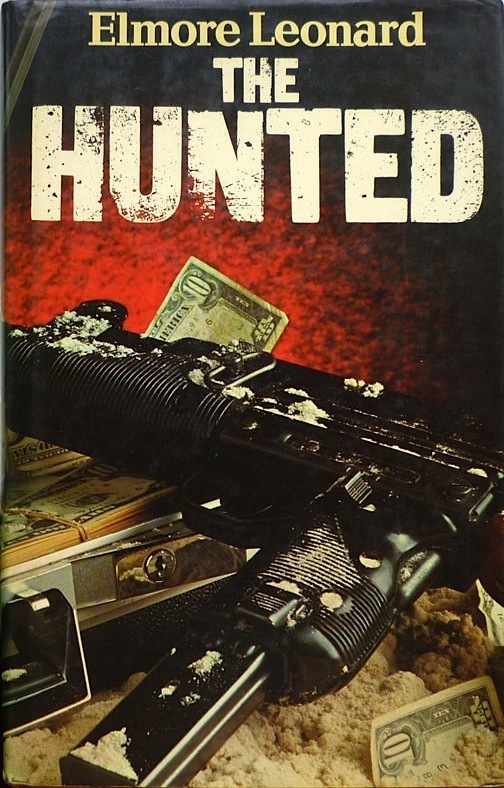 89 (1977), The Hunted (1978) and The Switch (1979). 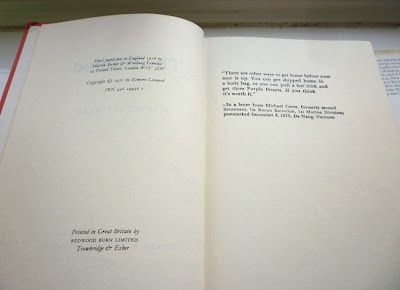 Those last two are especially notable as they represent the first hardback editions of those two novels, both having been published as paperback originals in the States (by, respectively, Dell in 1977 and Bantam in 1978). But while the Secker edition of The Switch doesn't appear to be in any shorter supply these days than Fifty-Two Pickup or Unknown Man No. 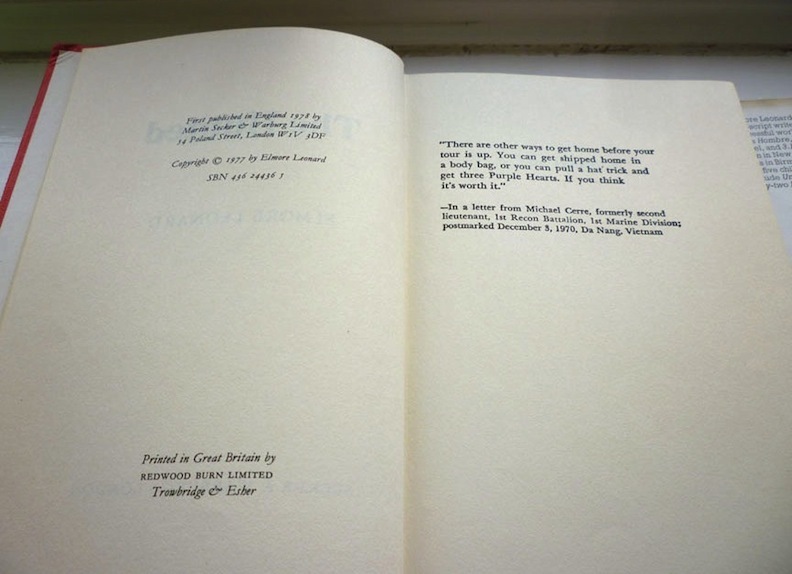 89 – in each case there are around a dozen copies for sale online at present, in other words not exactly plentiful, but at least attainable (although the cheapest copies of each are about forty quid) – the Secker edition of The Hunted is so scarce you'd be hard-pressed to find a single copy for sale online – and this despite it apparently being reprinted in the year of publication. 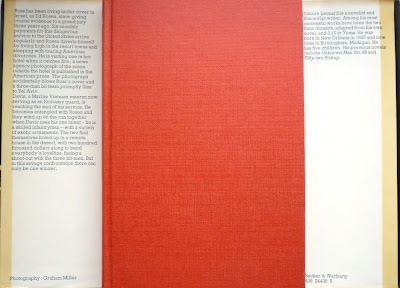 A genuine, rarely seen, 1978 Secker & Warburg first edition/first impression, complete, not ex-library, and in pretty good nick. It popped up on eBay one day, quite out of the blue – which I guess is how most things pop up on eBay, but you take my point – and I only went and won the bugger (for what I thought was a fair price, albeit still a not inconsiderable sum of money). 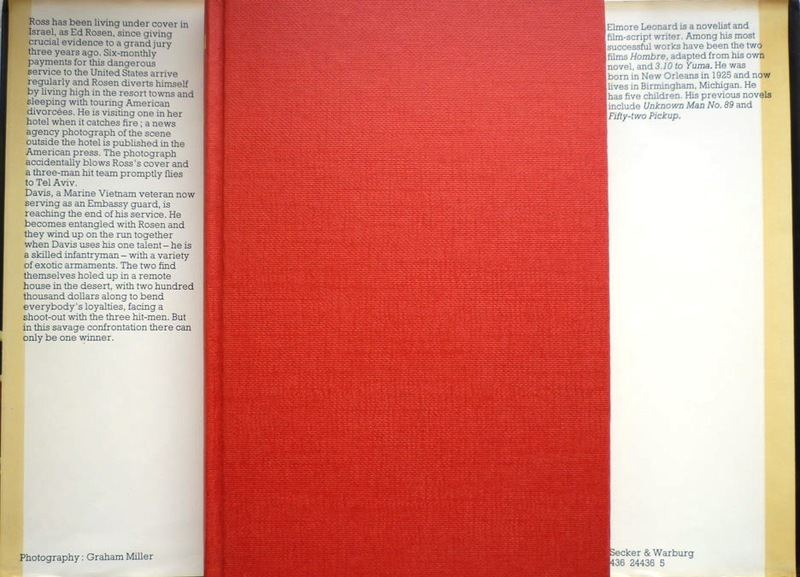 The question remains, however – at least, it does for this chronic book collector, and presumably so too for any similarly afflicted poor sod deranged enough to have read this far – why, out of all the Secker Leonards, is this one so flipping scarce? The eBay seller I got this copy from reckoned it was because "most of the very small print run went to [public lending] libraries", which seems plausible to me; indeed, if that second impression on Amazon Marketplace mentioned above is indeed ex-library, it appears Secker so underestimated their initial – likely meagre – print run that an unknown quantity of the – likely even more meagre – second printing went to lending libraries as well. Two things I noted when this copy arrived chez Louis XIV: first, regarding the top press blurb on the back of the dust jacket, when he wasn't reviewing crime fiction for The Oxford Mail – and editing sister paper The Oxford Times – Anthony Price was of course writing a series of splendid spy thrillers, as detailed in my two-part interview with Mr. Price in 2011 (incidentally, that blurb is also on the back of Secker's edition of Unknown Man No. 89); and second, as I suspected when I saw The Hunted's dust jacket in the eBay listing – the first time I'd seen the wrapper, there being, hitherto, no images of it online – the photo on the front is by Graham Miller, whose distinctive work can be found not only on the wrapper of the Secker edition of Fifty-Two Pickup, but on the jacket of the 1974 Heinemann edition of one of my favourite novels of all time, Patricia Highsmith's Ripley's Game.